Look cool in any kind of weather with our Weathers Logo Ringer t-shirt. This 100% ring-spun cotton unisex t-shirt is NAFTA certified. 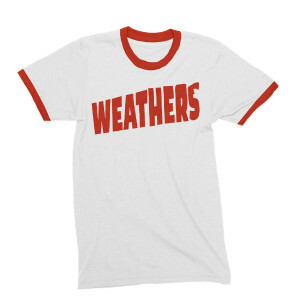 White t-shirt featuring the Weathers logo in red. Please note: this item will ship 1-2 weeks after purchase.